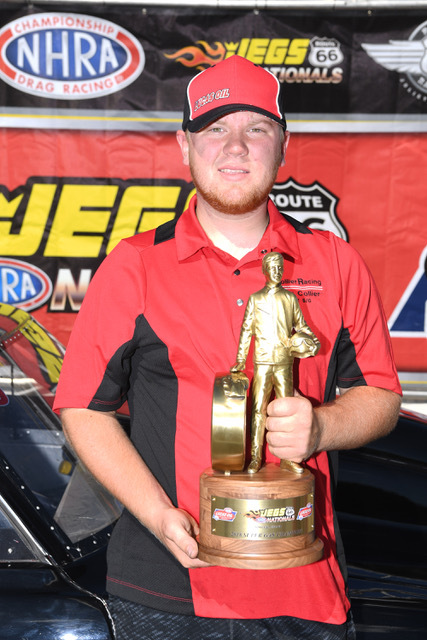 As the day closed at Route 66 Raceway on the Jegs Nationals, Koy Collier along with Jack Collier continued to keep Collier Family Racing at the top of everyone's mind in Super Comp and Super Gas, while Steve Collier the team leader is recovering from his blow over a few weeks ago. Koy almost completing the elusive "Double-Up," and Jack taking home Runner-Up Honors in the JEGS All-Star event on Saturday. "What a roller coaster of a year. 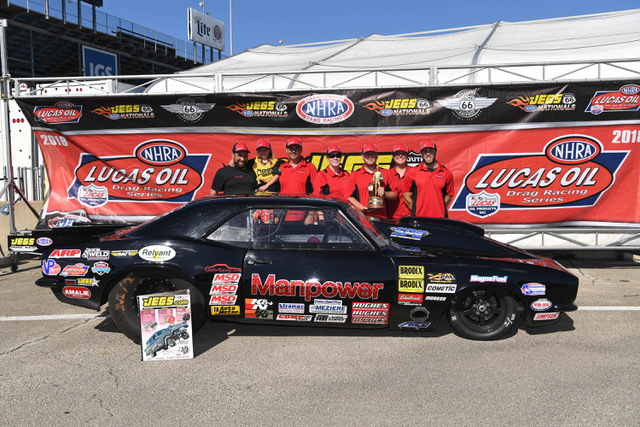 A trip to the winner's circle in Super Gas and a Runner-Up in Super Comp, my dad is home resting and recovering after his blowover in Topeka, so Jack, Tony (Brown) and I are just going to try to keep our family proud and keep this train moving," stated, the youngest Collier. The team had a great weekend with Jack Collier carrying the torch in the All-Star portion of the show on Saturday. Jack rebounded after an early disappointing 1st round loss year to go to the finals this year to grab a runner-up finish. "It is always good to know what to expect at these superstar events, I was relaxed this time," smiled Collier. "I had good laps against all my opponents, there were zero easy laps, and I just didn't kill enough in the final, I had the tree and just didn't get the stripe right, no worries, we are working to be back next year already, if you don't succeed, try and try and continue to try until you get it," laughed Jack. Currently, the Collier Family Racing Team has Koy Collier holding the number 2 spot in the World in both Super Comp and Super Gas. Jack Collier is 10th in Super Gas and 19th in Super Comp, with plenty of racing to go in 2018 on the Lucas Oil Drag Racing Series. The Collier Family will be in action this weekend at the NHRA South Central Division 4 race in Tulsa, OK.